Throw everything in your food processor and blend. 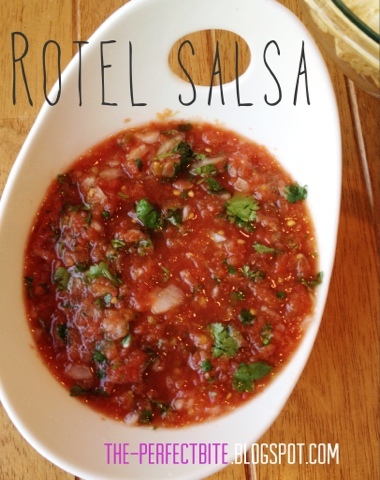 The longer you blend, the more pureed your salsa will get, so it just depends on your taste. I pulse the food processor just a few times so it results in a chunky salsa.